Bought TP to the Wrong Account, what should I do? I don’t bought the TP Bundle, but inserted into my Steam Account the same amount of money to buy the TP Bundle. 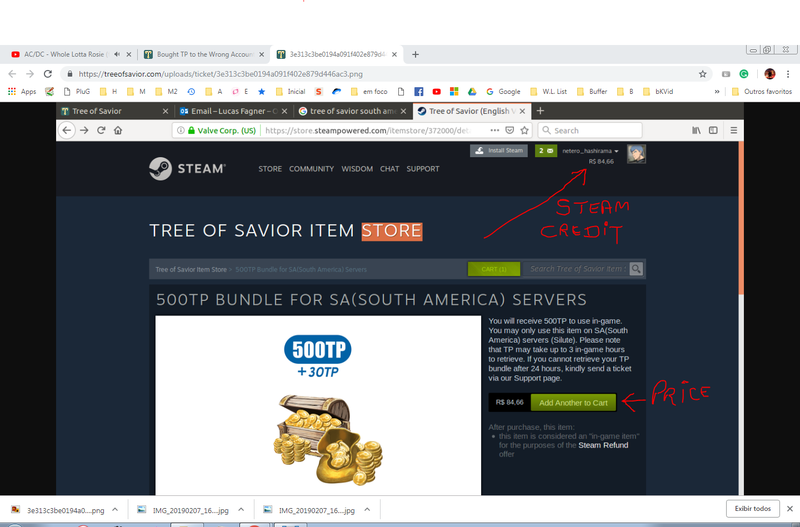 Just later realized I use other account for Tree of Savior. Specific for the 500 TP Bundle. 1 - Steam Support told me they can’t refund my money, because the way I paid it. 2 - IMC told me by Ticket Support that they can do nothing about that (for me it appeared so easy, if they just transferred the TP Bought from one account to another). They simple can’t help me, OR don’t want to help me. Observation: TP Bundle can’t be bought as gift to another account! What is your opinion if I still want to invest the money in the game, using the money I put into the wrong Steam account? Lets say I buy the TP Bundle to the wrong account: How could I transfer the value of a Token to another account the most safe possible and lost less possible money. I can just buy everything in shards and then transfer to my other account, but I would lost money right? or no? What other ideas you can tell me;/̣?? @quirkstring would you care to you explain it more detailed please? Also, how much would I lose? I really don’t know what I should do. Using the Market has 10% commission, and also it’s tooo risky. I bought more TP just to try it too, beyond buying Token. I don’t understand why they can’t just pass the TP to another account. Is simple a database where they can pass it with just one line of code. To complete all this mess, Steam Support can’t help me either. if you didnt use that money, try message steam support to have a refund? I havent read about steam policies, but shouldnt hurt asking. I’m curious what were your payment method that Steam refuse to refund it? If you don’t live in USA, they say they can’t refund it. transfer ur money through steam market? Thanks. I was thinking about that, I Will try It.